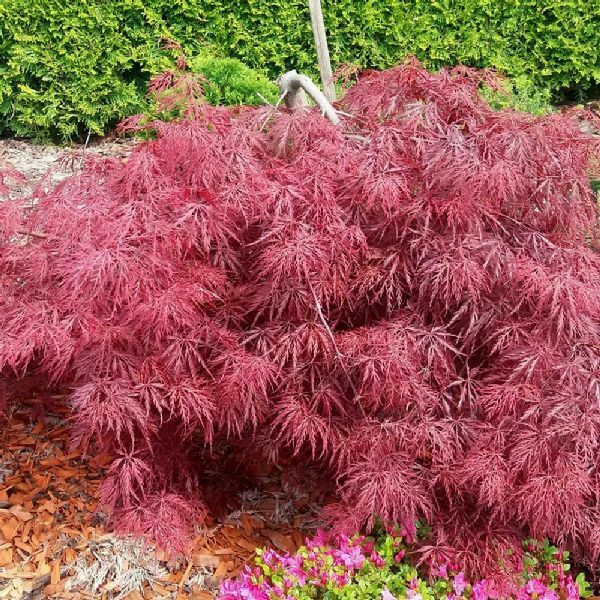 A small deciduous tree with finely cut, reddish-purple leaves, often blackish in spring which become more red during summer before becoming scarlet in autumn. 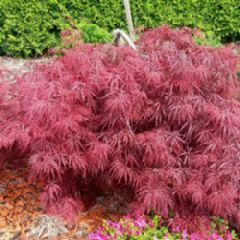 Grows in a mound-like habit with a flattened, round crown and branches that are weeping at the ends. Height 1.5m (5ft), Spread 2.5m (8ft), 10-20 years to maturity.